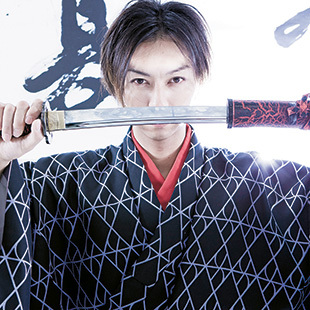 When Metropolis locates Ukon Takafuji, the expert swordsman is preparing a new performance of Japan’s foundational Amaterasu myth—set to techno music. Efforts like his EDM Amaterasu, based on the story of the sun goddess from whom Japanese emperors are said to be descended, and Takafuji’s Tokyo Samurai Workshop, make traditional practitioners of kenjutsu (“sword method”) blanche. But Takafuji has devoted his entire life to the art of swordsmanship, and in a sense has as much a claim to it as sensei with nobler pedigrees in the craft. Takafuji first got serious about a career in Japanese martial and performing arts when his mother founded a traditional Nihon buyō (Japanese dance) troupe, Takafuji Ryu (“Takafuji Style”). Takafuji’s mother performs geisha dances, while Ukon and his brother Sakon (the stage names play on the Japanese words for “right” and “left”) enact lion dance scenes from kabuki. The group has performed on stages from New York to Taipei. A decade ago, Takafuji embarked on his own journey, moving to Tokyo and opening a studio in the Ikejiri Ohashi area, near Shibuya. He pioneered popular programs such the Katana Exercise, which has been featured on TV programs hosted by the likes of “Beat” Takeshi and Arashi. Takafuji says he does indeed catch flak from traditionalists, but he takes it in stride. The savvy swordsman’s most recent creations target the international tourism boom sweeping Japan. Samurai Training Tokyo offers the chance to don a samurai outfit and have your photo taken before learning the basic routines. My 10-year-old son and I give it a whirl, donning samurai hakama attire and being led through the paces of Japanese swordplay—something akin to what one might see in a samurai action flick—before being awarded a “Samurai Certificate.” My son takes immense pleasure in mercilessly killing me over and over. 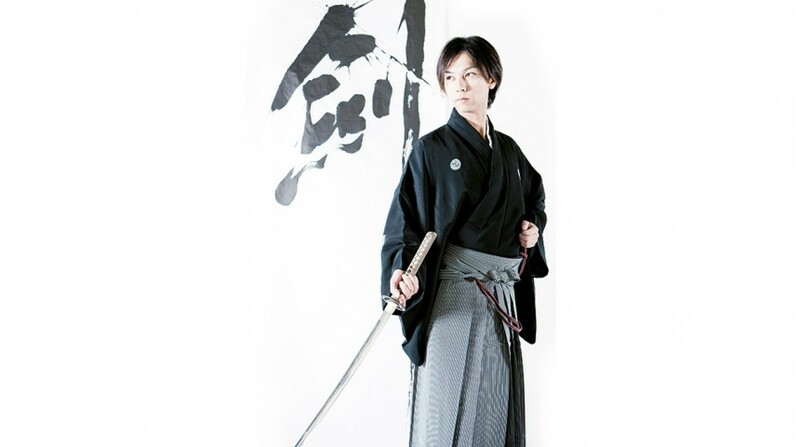 Takafuji also provides Skype workshops to primary school students in the U.S., and his efforts to proselytize Japanese culture don’t stop at swordsmanship. Ramen Experience Tokyo—Takafuji also runs a ramen shop—is a brand-new program that gives the world’s growing legions of ramen fanatics the chance to learn how to make Japan’s famous noodle dish. Participants receive instruction in the art of preparing the all-important ramen broth using Takafuji’s original tonkotsu (pork bone) recipe, cooking and shaking the noodles dry with flair, and of course slurping them down to top it off.